Humidity control is important for many reasons. The air inside your home is effectively trapped there. When you are inside, you're trapped with whatever contaminants are in the air. When the humidity level is too high, mold and mildew can grow. High indoor humidity cause other problems as well. Keeping the humidity balanced will eliminate problems. But how do you control humidity? Should you buy a portable dehumidifier? We say no, and for good reason. A portable unit will work on only one room at a time. Then as you move it to another room and then another, you have to start all over again in the first room you treated. The key is to attic the problem all at once. There are several things you can do to ensure that you have control over the humidity in your Charleston home. Whole House Dehumidifiers - You can control the humidity level in your Charleston home with a whole house dehumidifier. This is the best way to keep the humidity at a set level. 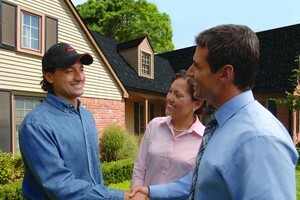 Today's systems work automatically and are installed into your HVAC system. If you are interested in installing one, call us at GLS Engineering today. Ventilation - Ventilation systems will allow air to circulate through attic spaces or crawl spaces. You wouldn't believe how much mold we find in these spaces when helping homeowners in Charleston with Mold Testing. Central Air Systems - A central air system with air handler will circulated the air inside the home. Be sure you leave the central air system on when you leave home for a vacation or for any reason. You don't have to set the temperature to the same setting as you normally do. Just make sure it will kick on a few times a day. If you think you may have a mold problem in your home, call your mold testing specialist in Charleston at GLS Engineering. We can help you test for mold and eradicate it for good with humidity control measures. If you have questions or need Humidity Control services in Charleston, call GLS Engineering at 843-881-4803, or fill out our online request form.